What Can I Give My Ferret for Constipation? | Can i Give My Ferret? What Can I Give My Ferret for Constipation? What should you feed your ferret when it has constipation problems? Most people experience constipation at least once in their lives. Others experience it quite often. Constipation happens when a person cannot defecate regularly. Symptoms are usually pain, vomiting, and difficulty in having bowel movements. Constipation is caused by not drinking adequate water, stress, inadequate fiber and exercise, depression, and many other things. In order to prevent constipation, make sure you eat a balanced diet including lots of fiber and water. Humans aren’t the only ones who get constipated. Other animals too may experience the same thing and often times of the same reason, as well. Give him canned pure pumpkin. Ferrets, like humans, get constipated as well. There are times when they do not defecate properly and experience pain when doing so. Watch out for symptoms of constipation. Your ferret may be weak and feeling pain in the abdominal area. Observe your ferret. Check if he is still eating and drinking normally. He may also be whimpering while trying to defecate. Constipation in ferrets can be caused by different things. The most common reasons are unhealthy diet, hairball, change in food, and blockages like eaten toys. Make sure that you give your ferrets the right food and meals for him. Ferrets have to eat at least eight times in a day because of their fast metabolism. They also need lots of water throughout the day to keep them hydrated. Never give your ferret foods that he is not supposed to eat, or else it can cause intestinal blockages. Avoid fruits, vegetables, sweets, and other foods rich in fiber. Ferrets can only digest meat-based protein and fat. Give him ferret toys that can help in stimulating his inquisitiveness and natural instincts. To treat the ferret’s constipation, give him a tablespoon of canned pure pumpkin every hour. Do this until he defecates. If your pet doesn’t like the taste of pumpkin, you can put it in a syringe and feed it to him. Once he defecates, you may notice orange feces because of the pumpkin. Once you pet is defecating normally, you can continue giving him pure pumpkin once a week in order to clean out his digestive tracks. This also helps in keeping him regularly defecating. After a few weeks, you can give him the pumpkin once every few week for cleansing. Aside from giving him canned pure pumpkin, you can also give him a warm soaking bath. Focus on the rear end to help in soothing and relaxing the muscles that have been used a lot and may have been strained. This can also rehydrate your pet in a way. Make sure that your pet drinks lots of water when he is constipated. Oftentimes, constipation can make the ferret dehydrated. You can also syringe the water in case he doesn’t like to drink. Monitor your pet once you observe something. If your pet hasn’t defecated for two days already and you’re worried, you can bring him to your vet and get a laxative. It can also be a big concern if he doesn’t eat normally and is very weak. Sometimes, you might think it’s just constipation but it is already digestive blockage. Many pet owners mix up these two especially when the symptoms are just similar. The blockage can be deadly if not addressed right away. Your vet may be able to give laxative to remove the blockage or do a surgery when necessary. This is a serious problem that may lead to the death of your pet when not noticed right away. Being observant of your pet is always a must. You need to know whether or not your pet has been acting strange lately. 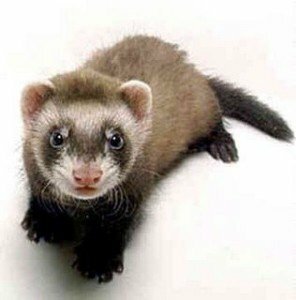 Check if there’s any alteration in your ferret’s disposition and if he has been acting weird. As a pet owner, you need to know when your pet is not feeling himself or is sick. Caring for him and treating the problems right away will ensure that he can bounce back to life quickly. You also wouldn’t want your pet to be sickly and weak at all times. Keep your ferret healthy at all times. Give him the proper food that he needs, like meat and high quality ferret food. This can also keep him happy and occupied at the house. Make sure that you visit the vet together regularly for checkups. This helps in ensuring that your pet is in tiptop shape. Always remember that a happy ferret is a healthy ferret.